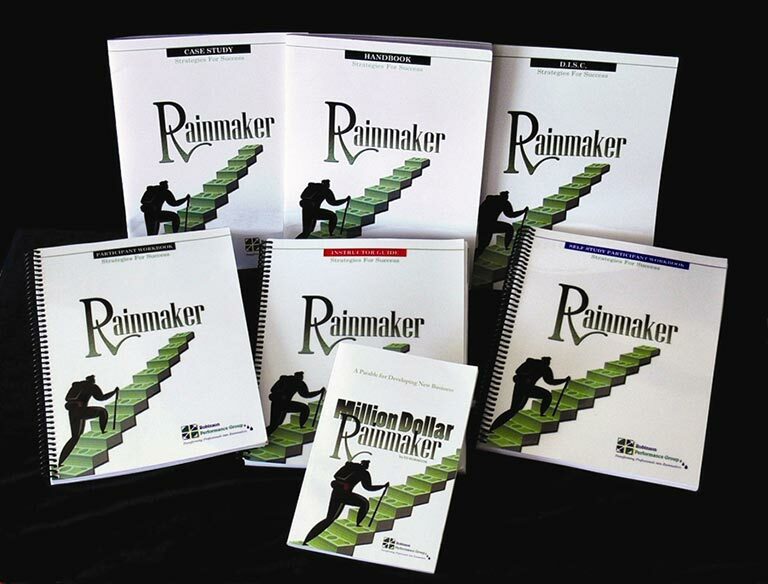 Become a Rainmaker for Your Firm! Would you like to build professionals, leaders and rainmakers in your organization? While Robinson Performance Group would be happy to provide a wide variety of training solutions for both individuals and firms, we also provide some Train the Trainer solutions inclusive of licensing of specific programs on a as needed basis.